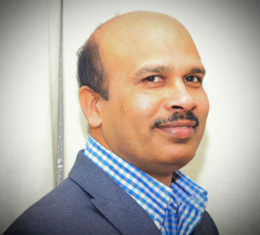 Pastor Samuel Raja was born in Tamil Nadu, India. Although he was from a Christian family and had a religious upbringing he accepted Jesus Christ as his personal saviour at the age of 22. He moved to Malaysia once he was married and his thirst to serve the Lord increased. A a result, he began to take part in many outreach ministries. In 2003, he moved to the UK as God put a burden in his heart to bring the revival upon this nation. He was earnestly praying seeing churches across London shut down or closed. In 2009 God spoke to him through a vision and confirming his pastoral calling by many servants of God.